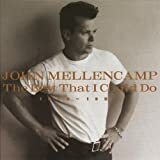 John Mellencamp's, "R. O. C. K. in the U. S. A." It's the sound of drums!